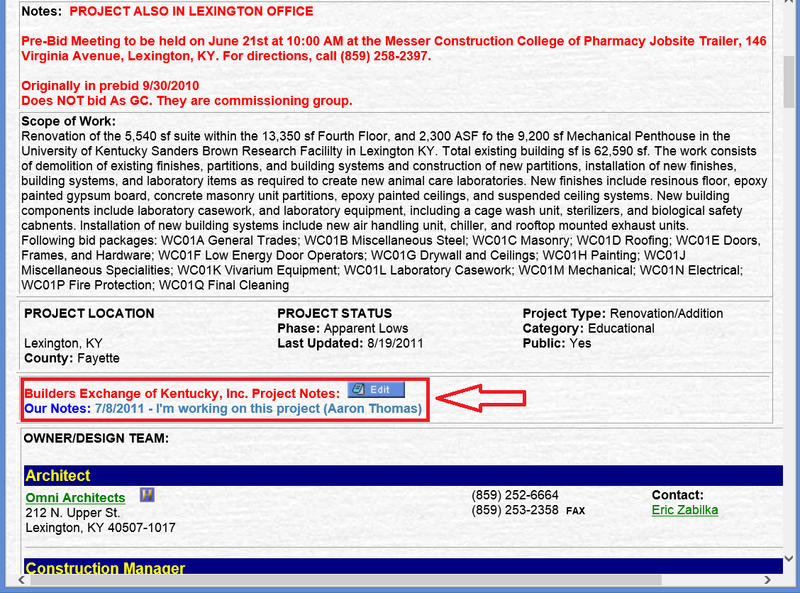 To add a project note, click the blue “Edit” icon next to your company’s name on the Project Details page. You can see that I have already entered a note for this project. I signed it with my name and date, but your note can say anything you want it to say. 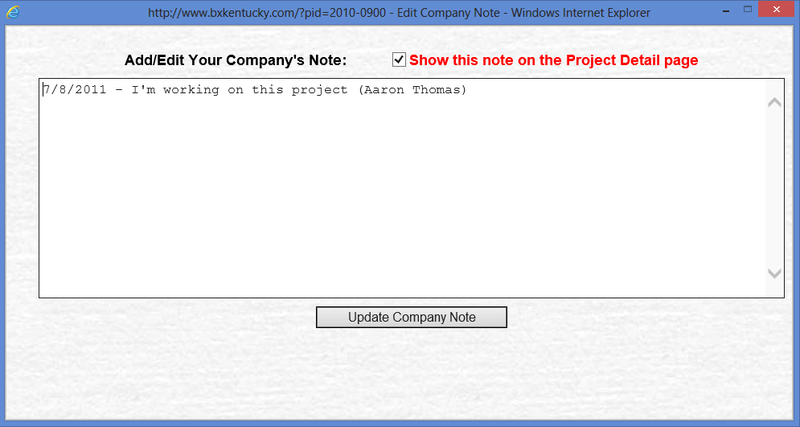 Click on the “Update Company Note” button to add the note to the project. Anyone in your company can add to or edit your notes at any time. 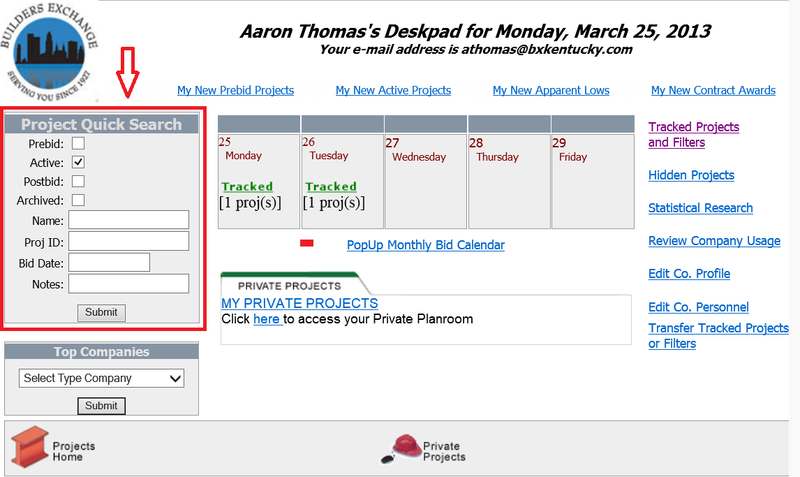 After you’ve selected the phase(s) in which you would like to search for projects, enter any word or phrase in the “Notes” field and click “Submit”. 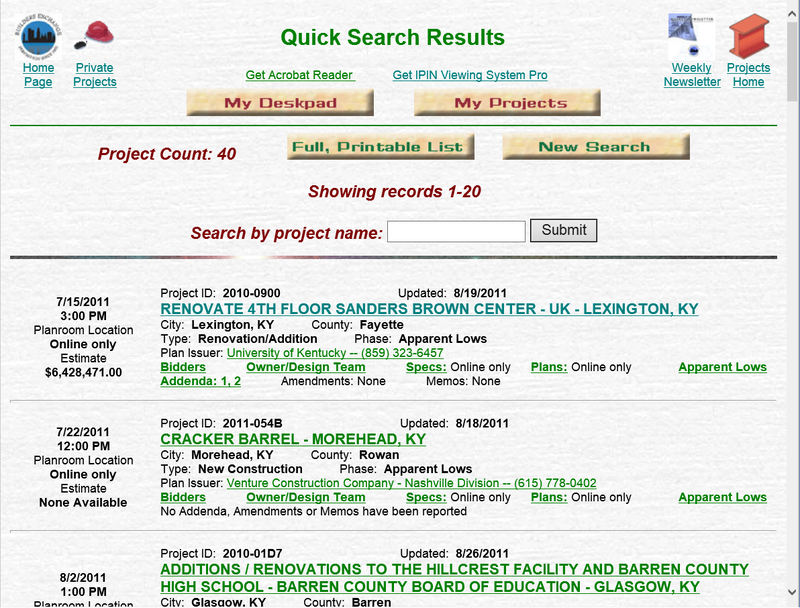 The results page shown above is a list of every project that includes my name in the project notes. Combined with the Quick Search tool, Project Notes gives you the power to create powerful customized searches for future use. 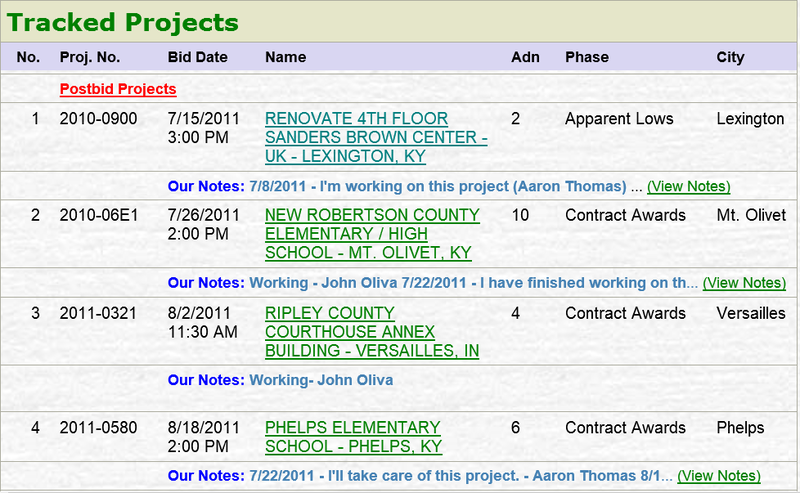 For example: add “Prevailing Wage” note to every project of interest that used Prevailing Wages. 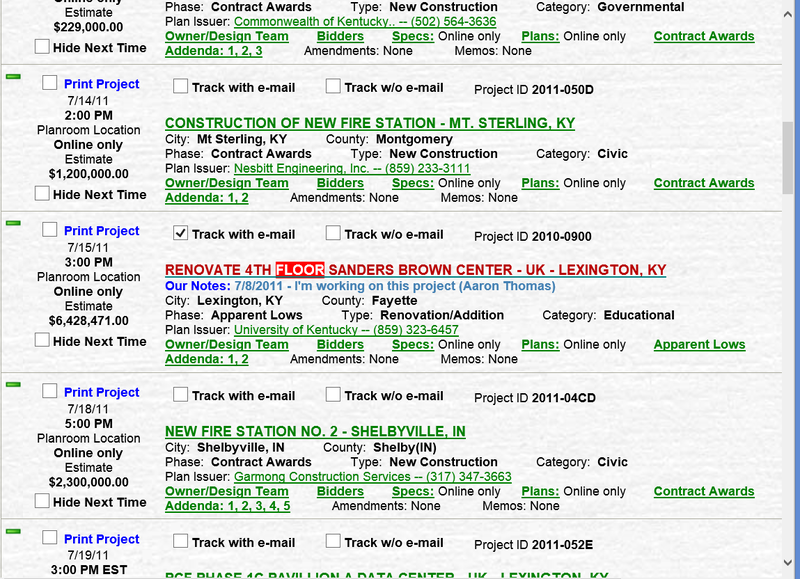 Later, to pull up a list of every project of interest with prevailing wages, conduct a “prevailing wages” Project Quick Search in the notes to quickly access a list of those projects. Notes are a flexible and adaptable tool that can help keep your projects more organized in addition to keeping everyone in your office on the same page through inter-office communication.